Mary Kom, India’s biggest women’s boxing star punched her way into the semi-finals of the AIBA Women’s World Boxing Championship after beating China’s Yu Wu 5-0 in the 48 kg category. The celebrated boxer assured herself a record of the seventh medal on Tuesday making her the most successful pugilist in the event’s history. The 35-year old Manipuri, displayed experience and calm as she faced the younger and athletic opponent which in turn received a unanimous decision in favor of her from all the judges. 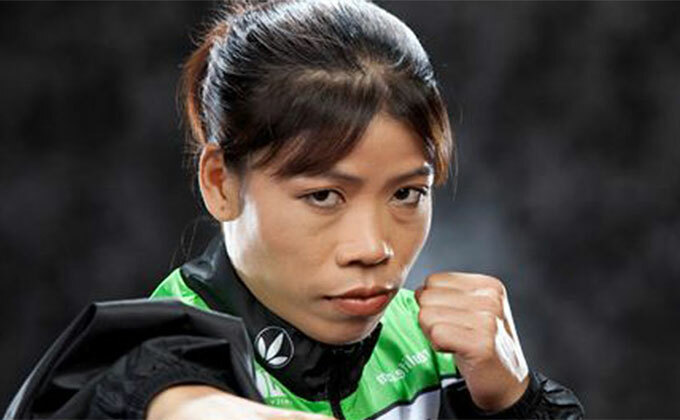 Mary Kom won silver in the first edition of the tournament and then went on to win five gold in successive World Championship from 2002 to 2010. Chasing a historic sixth gold and first medal since 2010, she is currently tied with Katie Taylor of Ireland on five gold in the World Championship. The 2012 London Olympics gold medalist will now face North Korea’s Kim Hyang Mi in the semi-final on Thursday. “I am confident but not over-confident”, commented Mary Kom about her next face-off.